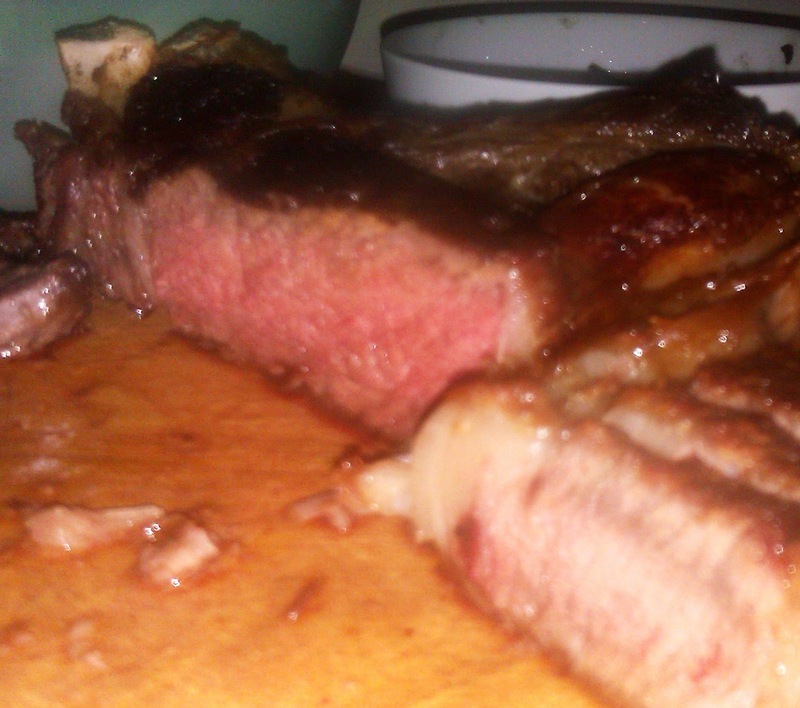 I know barely a month has passed since last time, but I'm going to write about cooking large slabs of cow again. 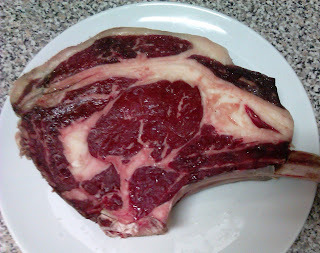 Vegetarians and those bored of beefsteaks look away now. I had to write about this steak, because it was the best yet. I've almost cracked it. Without the use of charcoal I don't think I can do much better. This was an unplanned steak night. I was at the excellent Welbeck Farm Shop buying some cheese and inadvertently wandered over to the butcher's counter, drawn in by some mysterious form of meat magnetism. 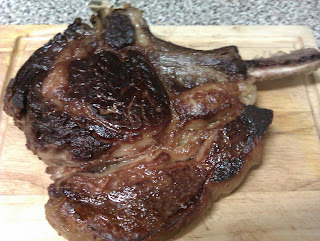 And there it was, some very fine looking rib on the bone, priced most temptingly at £9.99 per kilo. I ended up with this. A one rib steak, a good two and a half inches thick, weighing in at around 1.25 kgs. Here it is just after salting. I should note at this point that I shared this one with a friend and her daughter. I do have limits. The cooking method was the same as last time, for details see here. The gist is this: salt generously at least an hour before cooking, very hot pan, plain oil, turn it regularly, add butter for the last minute or so, give it a good rest. 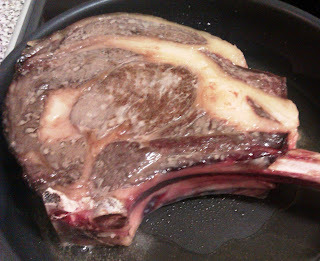 Prior to cooking I also tried Heston's extra ageing method, essentially leaving the steak uncovered in the fridge for a couple of days. 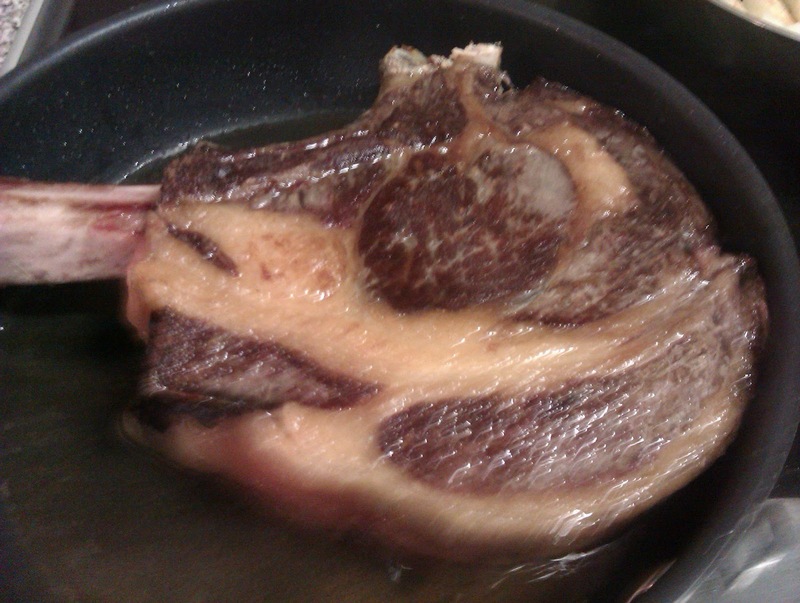 The theory is that this dries the steak a little, tenderising it and concentrating the flavour. I've no idea whether this made any difference, but we'll assume Blumenthal has done his homework. 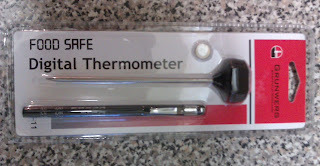 Meat thermometer at the ready. Hot pan at the ready. Impending fat splattered smoke choked kitchen at the ready. In it goes! 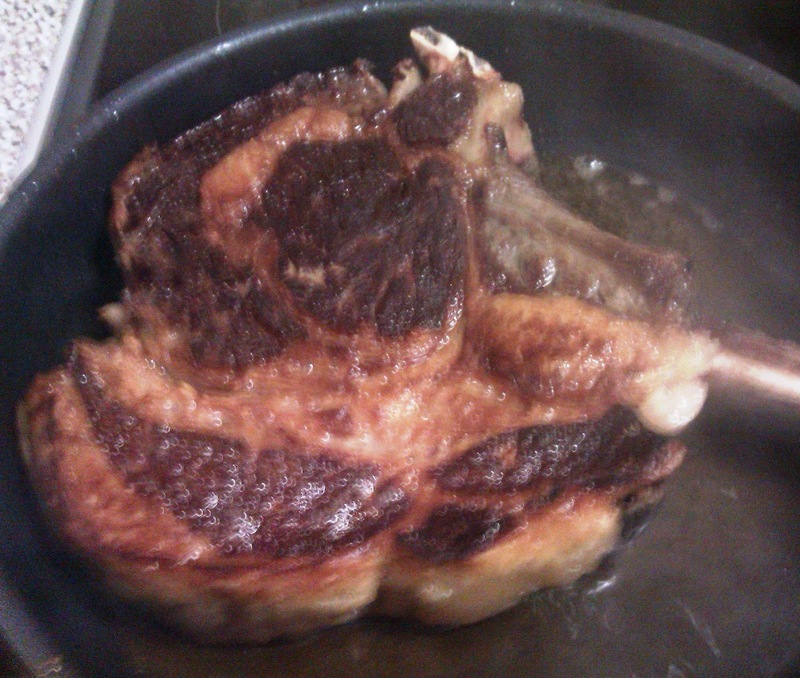 Two minutes in, the first signs of a crust start to appear. Seven minutes in, the char is coming along nicely, and the fat is starting to render and crisp. Fourteen minutes in, almost there. The butter has just gone in and the crust looks lovely. 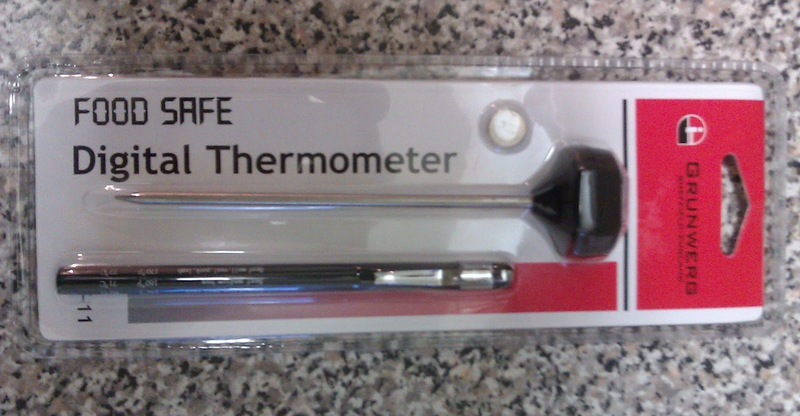 I was keeping a close watch on the internal temperature at this point. 130 degrees fahrenheit was the target point, which is just on the cusp of medium rare. This was the only mistake I made. The temperature rose slowly and steadily throughout the cooking time, but then suddenly started to shoot up rapidly towards the end. I missed the cut-off point by a couple of degrees, removing it from the pan at 132. Here we are, post-rest, resplendent and ready for slicing. It was wonderful. See how the thin, dark crust gives way to tender pink juicy flesh. 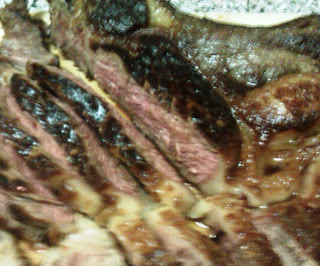 It was a beautiful piece of meat too, with a powerful savoury beefy flavour and delicious fat. 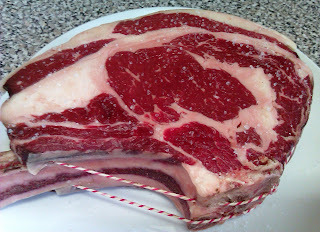 I always think you can spot quality, well aged beef by the fat. It should be yellow-ish in colour and smell a bit buttery. It should be rich in flavour and entice you to eat it, even the thick wobbly bits. This was all those things. Served with sautéed potatoes, green salad, and mushrooms fried in smoked garlic this was one of the best Sunday dinners I've had in a long time. It even went down well with my friend's two year old daughter (who will eat anything as long as you tell her it's sausages). Now that is a good looking steak! It was rather splendid, even if I do say so myself. I like to eat and drink, and do so mainly in Northern England.